My earliest memories come sometime after my third birthday. My mom was pregnant with my brother and I remember her big belly. I remember it as only a child can - from the underside. My memories only reach three and a half feet tall. Standing on the green carpet leftover from the seventies, my mother's hand on the bottom of her belly asking me if I wanted a little brother or a little sister. I wanted a sister so badly. And I was young enough to believe that my wanting it would make it so. Tracy thinks her first memories come some time later. She doesn't think she can remember the time before school started. When it was just her and her mom at home. She remembers feeling homesick at school and trying to hold back tears while sitting cross-legged on the carpeted kindergarden floor. So she knows there must have been happy moments to be missed. But they escape her. Mac is just two and a half years old. I feel like I have lived a lifetime in those months. The transition from myself to his mama was swift and brutal. It was beautiful and joyous. In one traumatic and miraculous day my new life began and I've done my best to preserve every memory since. Some with cameras and some etched onto the surface of my heart. But it occurs to me that, of this entire life we have lived with our precious son, he will likely not remember any of it. There will be photos and this blog. Some of it he may "remember" in that way that we create memories from keepsakes even though we didn't have the original recollection. But he won't actually remember the kisses and the hugs or the tickles and the laughter. Still, we try anyway. Mac has developed a love affair with a big purple dinosaur named Barney. There is a movie, that has been played countless times in my house, that is a recording of a Barney performance. I watch that movie with my son and long to give him that experience. To bring him to a show and watch him dance in the aisles, singing the songs he knows by heart at the top of his lungs. But his love affair with Barney has been facilitated through Netflix and old episodes. Did you know that Demi Lovato and Selena Gomez played friends of the big purple dinosaur as children? Me neither. These episodes are old. Barney is now a retired rockstar and google did not reveal a farewell or comeback tour. Then one day I was flipping through an issue of Parenting Times and saw a full page advertisement for a live Barney show in Ottawa. Well, actually, it was an ad for The Baby Show. But Barney was going to be there on stage. I blacked out the weekend on my schedule and waited for showtimes to be announced. As springtime photo shoots filled my calendar I kept the weekend as free as possible. My kid was going to see Barney! The day arrived and we headed downtown. Slow traffic and blocked roads, the result of a bicycle race, meant that we didn't make the 11 AM show and instead would wait around for the 2 PM show. But we were not deterred. The small town girl in me still feels like she is being kicked in the stomach when she has to pay city parking prices. But what's the cost of a mid-level bottle of wine in comparison to my son seeing Barney!? We got there early. Each taking turns holding our front row seats while the other browsed the Baby Show booths. I made the decision to leave my camera at home this time. With it in my hands I am constantly searching for the right light, the best angle, and sometimes that means that I miss what is right in front of me. I decided I would snap a few quick photos with my phone and let the rest write itself on my heart. Tracy and I were giddy with anticipation. So much so that tears welled up in my wife's eyes at the excitement of being able to bring her son to his see the purple dino of his dreams. I only found out about this after when she turned to me and said "did you cry a bit before Barney came on?" And when I gave her a quizzical look she said "ya, me either." And then added "don't tell anyone that." Which sounds like "I double dog dare you" to a blogger. Before long Barney was on stage singing the songs Mac knows by heart. But instead of dancing in the aisle as I had imagined he would he crawled onto my lap and sat stoically. All of my attempts to get him dancing and singing were met with "no Ma." The experience was overwhelming for our boy and he was just taking it all in. As the tiny groupies rushed the stage for their moment with Barney we asked Mac if he wanted to get closer. He was unsure. And then the homebody boy after my own heart said "Ma, can we go home and watch Barney on my TV?" It wasn't the heart-exploding moment of sheer joy I had hoped for. And yet this morning, after sleeping on the memory, he woke up excitedly proclaiming "You remember Ma? You remember when Barney touched my head?!?" And, for now, the memory of seeing Barney on stage is a magical one that he will tell everyone about for months to come. Although he likely won't remember the day, as the months turn to years, it will live on through my wife and me. And I like to think that even though he won't be able to access the details of these early days in tangible ways they will still exist in some way in his heart. And when he has his own little ones someday he will know what these years were like. He'll access that part of his heart and thank his moms for the memories he can't quite remember. Like I should probably do right now. Thank-you Mom and Dad. 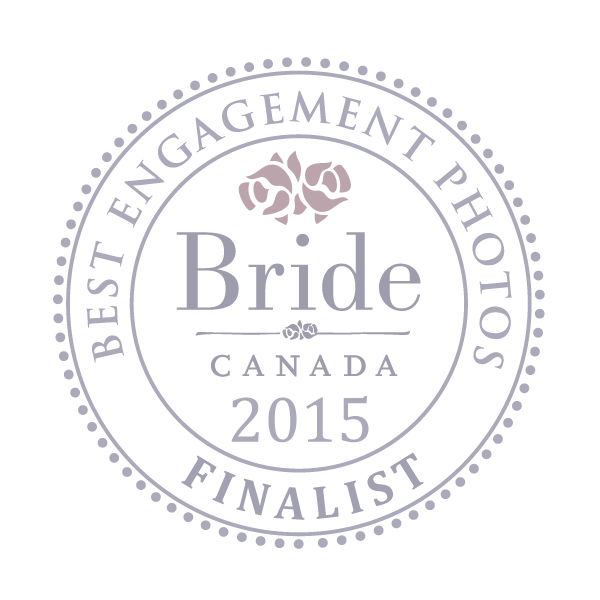 Did you skip over that bit at the beginning about voting for us (Mondays with Mac Photography) at over at Ottawa Wedding Awards ? If so we would so appreciate your vote! 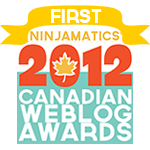 And if you have already voted for us then thank-you so much taking the time - it truly means so much!